It is not the first time the Head of the Qurultaiy Audit Commission Ali Ozenbash detained at the administrative border with the Crimea. 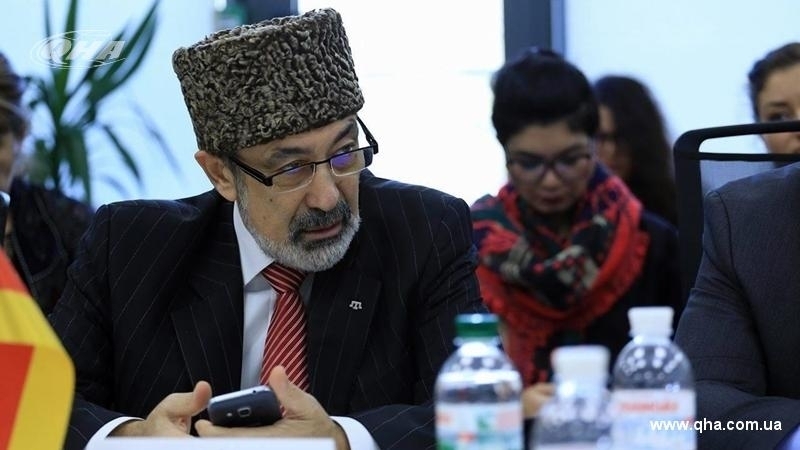 August 30, at the administrative border with the annexed Crimea, officers of the Federal Security Service (FSB) of Russia detained the Head of the Qurultay Audit Commission, a member of the Executive Council of the World Congress of Crimean Tatars Ali Ozenbash, according to the Events of Crimea. Ozenbash was detained during the passage of the Russian checkpoint at the exit from the Crimea. The security officials held him for about an hour and a half, without providing any explanations or bringing any charges. The Office of the Federal Security Service of Russia in the Crimea has not commented on the detention of Ali Ozenbash so far. Earlier, on September 20, 2016 at the checkpoint "Chongar" FSB, detained the Chairman of the revision commission of the Qurultai of the Crimean Tatar people Ali Ozenbash without explanation of the reasons. September 7, 2014 Russian border guards detained Ozenbash at the exit from the Crimea. Then the RF security officials treated him rudely: they threw him face to the ground, injured his hand. According to Ozenbash, the main purpose of this detention was to intimidate him as an active member of the Crimean Tatar community.